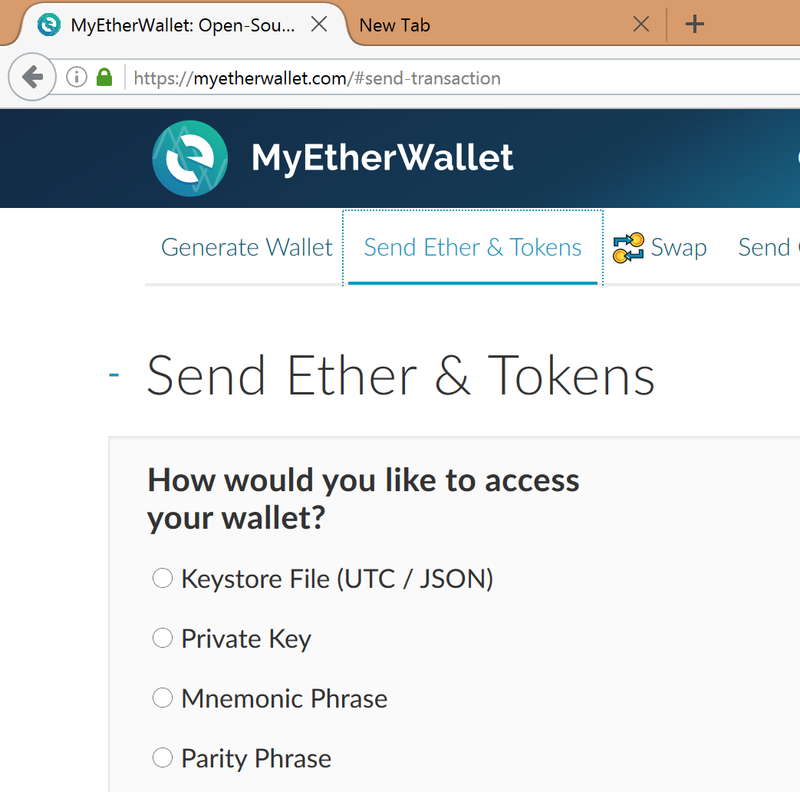 can somebody please explain to me how to withdraw my MNE from myetherwallet to livecoin step by step? and what about that "Gas Limit" ? 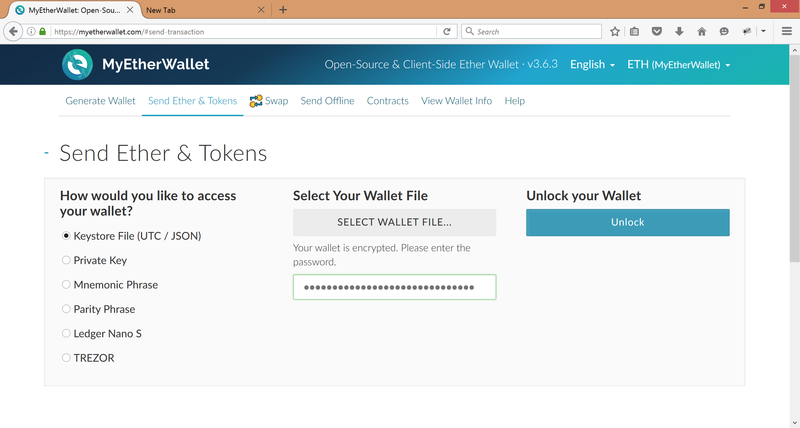 What program do I use to open the wallet file? Join SteemMonsters! https://steemmonsters.com/ -=-=- Tons of tournaments are being hosted and THOUSANDS of dollars worth of prices can be won! Even small investors can make a lot If you PM me, I can offer you a free account you can test the game with, to see if you like it. So join me in SteemMonsters! did dev announce there will be more exchanges as well? Dev mentioned that he was working on putting MNE in 2 exchanges and that CryptoDIO offer to put MNE there, but wasn't in the normal plans, so yes, we are expecting another exchange at least, hope that does not take too long, soon we will reach a wall that we wouldn't be able to overcome and the prices will fall, so yeah we need updates soon. I am very impressed by MNE, good work. It seems that there is accumulation of coins in the same hands. Perhaps soon there will be an addition to some other exchange. thanks i got mine on my wallet , 32K coin , when do you think will listed on exchange? do you think poloniex will listed this coin? Minereum is to diamond what the bitcoin is to gold.. If that second exchange will be bittrex I will not be surprised anymore. Minereum at its very early days has turned into huge token. Nothing hard to realize with more development and news about different things where it will be sitting at on market capitalization. It will soon be among top 10 on marketcap without any doubt. Don't be, if everyone kept their coins then there wouldn't be traded, you shouldn't have sold all your coins so, 10 to 20 would have been fine, so there is supply to sell and to buy. 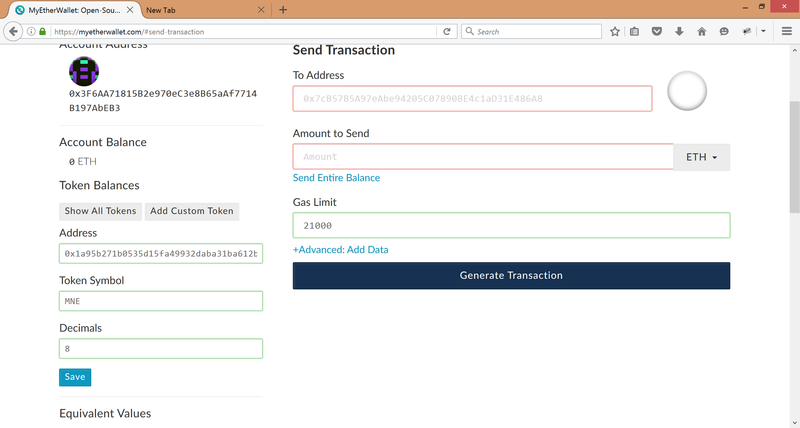 You don't mine this coin, only the genesis addresses that were given in the airdrop can mine (it generates automatically 1.87 MNE a day), the airdrop was closed a month ago, so right now the only way to get MNE is to buy it, if you don't have a genesis address, then you can't mine it. this coin make different from any other altcoin. Ok, now the coin stopped pumping, we can't pass now 0.003, our support is 0.002, so we really need updates right now, very good ones, or it we will get stuck, Dev, when can you make an update? we really need some information before the services start. This is the big reason why people is buying this token as devs also have great plan about the future of this project. This is really interesting concept first ever on ETH network so it will be next big thing in next few days.